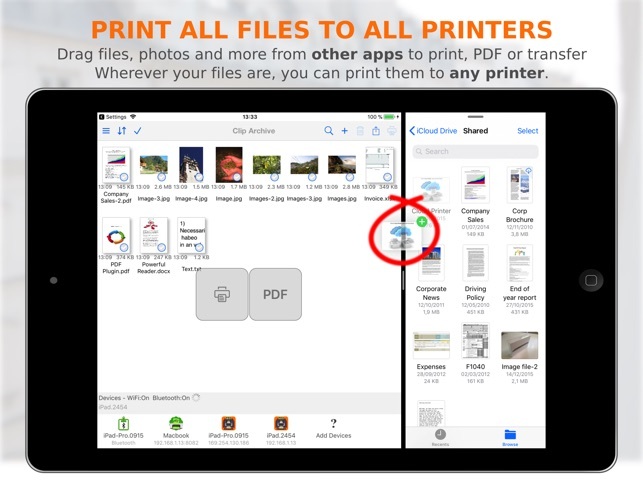 MacWorld: "PrintCentral is much more than a printing utility-it is a veritable office center"
AppCraver: "This app will let you print basically anything from basically anywhere." 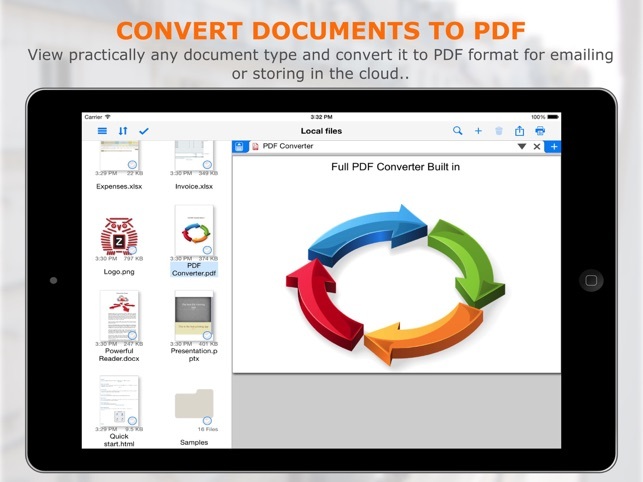 • Print direct to most existing WiFi or shared printers, or use our free printer/file sharing Mac/PC software for ALL printers. 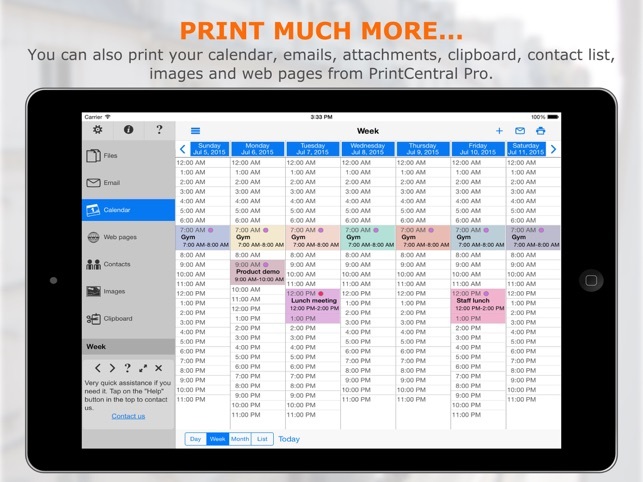 Support our hard working team - support regular updates and new PrintCentral Pro features with a quick review on the app store, thanks! I have a loaded HP LaserJet 8000. Although there are two other very nice and more modern printers I use, the HP is my baby for final print. The app is amazing, lets me print on ledger from iOS or computer using the free program WePrint. Even modern OS that no longer support the HP, it opens advanced features that no other driver would find. Walkthroughs provided were personalized to my needs. The customer service is just beyond excellent and I would normally not take the time to review an app unless it was very good or drove me to the brink of extinction. 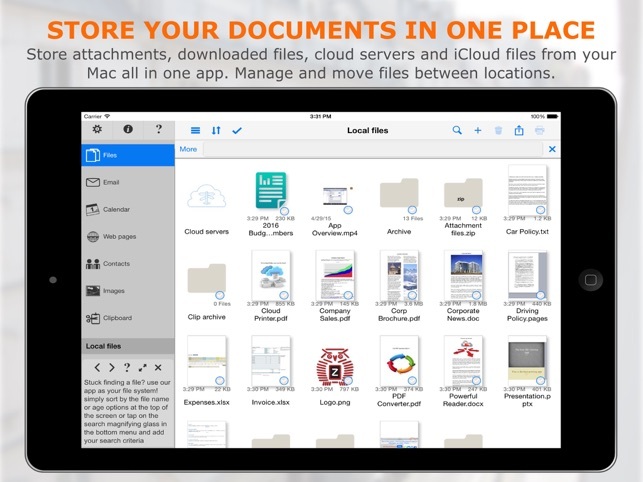 I was looking for a solution that enabled me to print email, from my new IPad, wirelessly to an HP printer that was not AirPrint capable. Looked at a number of others and found them clunky or didn't work as advertised. Purchased PrintCentralPro and it worked well. Had a question about adding my Outlook Calendar so I could print events and got hung up. Contacted their Support and received a very timely and clear advice on how to resolve my problem. Now I'm up and running. So far, so good with this app. We support our father-in-law who recently celebrated his 92nd birthday. Needless to say it can be trying at times particularly where his equipment is concerned. It is impossible to get him to part with any equipment, printer, for example, as long as it shows any sign of still being functional. We wanted to get him to try to use an iPad but lack of printing capability to his ancient printer was a show stopper. Then we discovered PrintCentral Pro and its free server WePrintWin. Our problem was solved. Thanks!